Jonathan Fields knows the risks-and potential power-of uncertainty. He gave up a six-figure income as a lawyer to make $12 an hour as a personal trainer. Then, married with a 3-month old baby, he signed a lease to launch a yoga center in the heart of New York City. . . the day before 9/11. But he survived, and along the way he developed a fresh approach to transforming uncertainty, risk of loss, and exposure to judgment into catalysts for innovation, creation, and achievement. In business, art, and life, creating on a world-class level demands bold action and leaps of faith in the face of great uncertainty. But that uncertainty can lead to fear, anxiety, paralysis, and destruction. It can gut creativity and stifle innovation. It can keep you from taking the risks necessary to do great work and craft a deeply-rewarding life. And it can bring companies that rely on innovation grinding to a halt. That is, unless you know how to use it to your advantage. 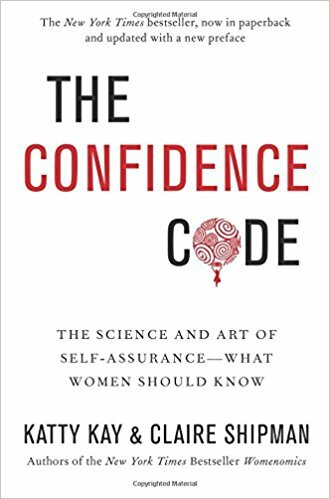 Fields draws on leading-edge technology, cognitive science, and ancient awareness-focusing techniques in a fresh, practical, non-dogmatic way. His approach enables creativity and productivity on an entirely different level and can turn the once-tortuous journey into a more enjoyable quest. All of Gordon Bethune's proceeds from this book will be donated to the We Care Trust, a nonprofit organization that assists Continental Airlines' employees and their families in times of need. You've seen it all before. A malicious online rumor costs a company millions. A political sideshow derails the national news cycle and destroys a candidate. Some product or celebrity zooms from total obscurity to viral sensation. What you don't know is that someone is responsible for all this. Usually, someone like me. I'm a media manipulator. In a world where blogs control and distort the news, my job is to control blogs-as much as any one person can. Why am I giving away these secrets? Because I'm tired of a world where blogs take indirect bribes, marketers help write the news, reckless journalists spread lies, and no one is accountable for any of it. I'm pulling back the curtain because I don't want anyone else to get blindsided. I'm going to explain exactly how the media really works. What you choose to do with this information is up to you. With the latest stories from D'Alessandro's neverending collection of corporate derring-do and new insight on the global battlefield, the nationally bestselling Career Warfare is more essential than ever when navigating your way to success. "D'Alessandro dares to speak the truth. If you don't manage your own reputation, those around you will. This is no theoretical exercise. In corporate America, people talk about you every day. You can affect what they say. This compelling and inspiring book, now in a deluxe paperback edition, shows how one person can work wonders. In Mountains Beyond Mountains, Pulitzer Prize—winning author Tracy Kidder tells the true story of a gifted man who loves the world and has set out to do all he can to cure it. A succinct, engaging, and practical guide for succeeding in any creative sphere, The War of Art is nothing less than Sun-Tzu for the soul. What keeps so many of us from doing what we long to do? Why is there a naysayer within? How can we avoid the roadblocks of any creative endeavor-be it starting a dream business venture, writing a novel, or painting a masterpiece? The follow-up to his bestseller The War of Art, Turning Pro navigates the passage from the amateur life to a professional practice. "You don't need to take a course or buy a product. All you have to do is change your mind." --Steven Pressfield. Turning Pro is FREE, but it's NOT EASY. When we turn pro, we give up a life that we may have become extremely comfortable with. We give up a self that we have come to identify with and to call our own. Turning Pro is FREE, but it DEMANDS SACRIFICE. The passage from amateur to professional is often achieved via an interior odyssey whose trials are survived only at great cost, emotionally, psychological and spiritually. We pass through a membrane when we turn pro. It's messy and it's scary. We tread in blood when we turn pro. What we get when we turn pro is we find our power. We find our will and our voice and we find our self-respect. We become who we always were but had, until then, been afraid to embrace and live out. "There is an enemy. There is an intelligent, active, malign force working against us. Step one is to recognize this. This recognition alone is enormously powerful. It saved my life, and it will save yours." -- Steven Pressfield. Could you be getting in your way of producing great work? Have you started a project but never finished? Would you like to do work that matters, but don't know where to start? 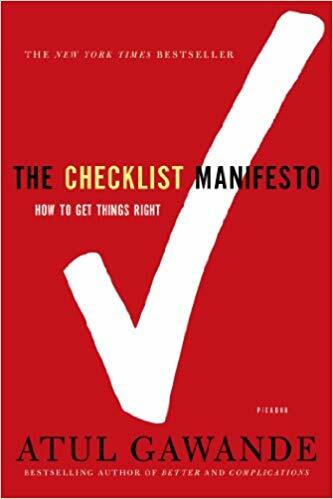 The answer is Do the Work, a manifesto by bestselling author Steven Pressfield, that will show you that it's not about better ideas, it's about actually doing the work. Do the Work is a weapon against Resistance - a tool that will help you take action and successfully ship projects out the door. Picking up where The War of Art and Turning Pro left off, Do the Work takes the reader from the start to the finish of any long-form project--novel, screenplay, album, software piece, you name it. Do the Work identifies the predictable Resistance Points along the way and walks you through each of them. No, you are not crazy. No, you are not alone. No, you are not the first person to "hit the wall" in Act Two. Do the Work charts the territory. It's the stage-by-stage road map for taking your projects from Page One to THE END. Nudge is about choices - how we make them and how we can make better ones. Drawing on decades of research in the fields of behavior science and economics, authors Richard H. Thaler and Cass R. Sunstein offer a new perspective on preventing the countless mistakes we make -- ill-advised personal investments, consumption of unhealthy foods, neglect of our natural resources -- and show us how sensible "choice architecture" can successfully nudge people towards the best decisions. In the tradition of The Tipping Point and Freakonomics, Nudge is straightforward, informative, and entertaining -- a must read for anyone interested in our individual and collective well-being. In the Power of Habit, Pulitzer Prize-winning business reporter Charles Duhigg takes us to the thrilling edge of scientific discoveries that explain why habits exist and how they can be changed. Distilling vast amounts of information into engrossing narratives that take us from the boardrooms of Proctor & Gamble to sidelines of the NFL to the front lines of the civil rights movement, Duhigg presents a whole new understanding of human nature and its potential. At its core, The Power of Habit contains an exhilarating argument: The key to exercising regularly, losing weight, being more productive, and achieving success is understanding how habits work. As Duhigg shows, by harnessing this new science, we can transform our businesses, our communities and our lives. of Silicon Valley's most innovative entrepreneurs. Here, LinkedIn co-founder and chairman Reid Hoffman and author Ben Casnocha show how to accelerate your career in today's competitive world. The key is to manage your career as if it were a startup business: a living breathing, growing startup of you. Why? Startups - and the entrepreneurs who run them - are nimble. They invest in themselves. They build their professional networks. They take intelligent risks. They make uncertainty and volatility work to their advantage. These are the same skills professionals need to get ahead today. This book isn't about cover letters or resumes. Instead, you will learn the best practices of Silicon Valley startups, and how to apply these entrepreneurial strategies to your career. Mary Kay Ash, one of America's most dynamic businesswomen, lives her life with simple and timeless principles. Through her uncomplicated formula for success -- God first, family second and career third -- she achieved her dream. She inspired. She motivated. She cared. Mary Kay often said that if you expect great things, great things will happen. So expect results. Expect success. Miracles happen. Mary Kay Ash knew when she created her dream company that its success would largely depend on the principles upon which it was founded. In her wisdom, she realized that by building a solid foundation, and never wavering from it, she would distinguish her company and set the stage for women to succeed for decades to come. Mary Kay herself said, "The Company bears my name, but it has a life of its own. The true success if the lives that have changed for the better." Today, the independent sales force wholeheartedly embraces Mary Kay's vision of enriching women's lives. Because she believed that women would understand and support her mission, her legacy will continue to grow, inspiring generations of women around the world to believe that miracles happen. You've done the hard work. Your product or service works beautifully - but something is missing. People just don't see the big idea - and it's keeping you from being successful. Your idea has an explanation problem. The Art of Explanation is for business people, educators and influencers who want to improve their explanation skills and start solving explanation problems. Run your company. Don't let it run you. Most business owners started their company because they wanted more freedom-to work on their own schedule, make the kind of money they deserve, and eventually retire on the fruits of their labor. Unfortunately, according John Warrillow, most owners find that stepping out of the picture is extremely difficult because their business relies too heavily on their personal involvement. Without them, their company - no matter how big or profitable - is essentially worthless. But the good news is that entrepreneurs can take specific steps - no matter what stage a business is in - to create a valuable, sellable company. Warrillow shows exactly what it takes to create a solid business that can thrive long into the future. The world's most popular job-search book is updated for 2017, tailoring its long-trusted guidance with up-to-the-minute information and advice for today's job-hunters and career-changers. In today's challenging job-market, the time-testing advice of What Color Is Your Parachute? is needed more than ever. Recent grads facing a tough economic landscape, workers laid off mid-career, and people searching for an inspiring work-life change all look to career guru Richard N. Bolles for support, encouragement, and advice on which job-hunt strategies work--and which don't. A ground breaking women's leadership expert and popular conference speaker gives women the practical skills to voice and implement the changes they want to see-in themselves and in the world. In her coaching and programs for women, Tara Mohr saw how women were "playing small" in their lives and careers, were frustrated by it, and wanted to "play bigger". She has devised a proven way for them to achieve their dreams by playing big from the inside out. 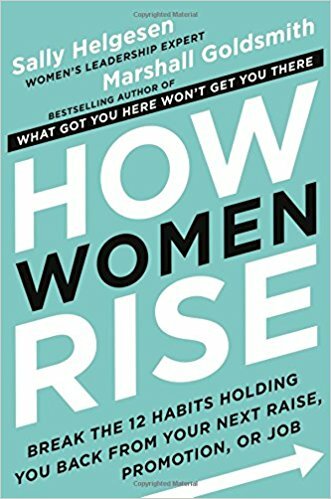 Mohr's work helping women play bigger has earned acclaim from the likes of Maria Shriver and Jillian Michaels, and has been featured on the Today show, CNN and a host of other media outlets. 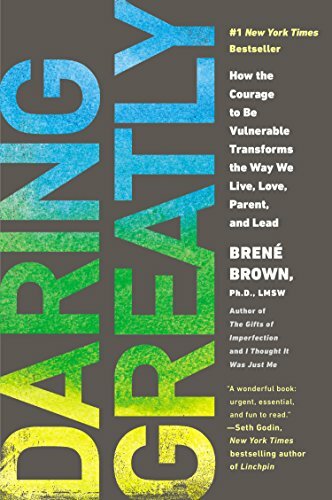 In the tradition of Daring Greatly, Playing Big provides real, practical tools to help women quiet self-doubt, identify their callings, "unhook" from praise and criticism, unlearn counterproductive good girl habits and begin taking bold action. While not all women aspire to end up in the corner office, every woman aspires to something. Playing Big fills a major gap among women's career books; it isn't just for corporate women. The book offers tools to help every woman play bigger - whether she's an executive, community volunteer, artist, or stay-at-home mom. How people perceive you has always been critical to a successful career. Now add in the internet, social media, and the unrelenting hum of 24/7 business, and the ability to brand and promote yourself effectively becomes absolutely essential for young professionals to land the job, earn the raise or get that much deserved promotion. It is only with the ability to promote yourself that managers and executives can see Gen Y workers as invaluable employees, game-changing managers, or the people whose names are synonymous with success. So how do they stand out and get ahead? Drawing on proprietary research and countless interviews with the most dynamic professionals in business today, career guru and founder of Millennial Branding Dan Schawbel takes readers through his step-by-step process of creating unique personal brands and leveraging them to maximum advantage. By basing these brands on the rock-solid foundation of hard, soft, and online skills that are essential to get the job done right and by knowing exactly what managers value, Schawbel provides every reader with the unique skills and message that they'll need to get ahead today and for the rest of their careers. The subtle and amazing effective art of self-promotion is the razor thin difference between success and failure. Dan Schawbel's Promote Yourself is the definitive book on the new rules for building an outstanding career. The world's most trusted expert on money matters answers a generation's cry for help-and gives advice on: Credit Card Debt, Student Loans, Credit Scores, The First Real Job, Buying a First Home, Insurance Facts for Auto, Home, Renters and Health, Financial Issues of the Self-Employed and much more advice that fits the realities of "Generation Broke". Ben Horowitz, cofounder of Andreessen Horowitz and one of Silicon Valley's most respected and experienced entrepreneurs, offers essential advice on building and running a startup-practical wisdom for managing the toughest problems business school doesn't cover, based on his popular Ben's Blog. For generations, we have focused on the individual drivers of success: passion, hard work, talent, and luck. But in today's dramatically reconfigured world, success is increasingly dependent on how we interact with others. In Give and Take, Adam Grant, an award-winning researcher and Wharton's highest-rated professor, examines the surprising forces that shape why some people rise to the top of the success ladder while others sink to the bottom. Praised by social scientist, business theorists, and corporate leaders, Give and Take opens up an approach to work, interactions and productivity that is nothing sort of revolutionary. From the world’s leading thinker on innovation and New York Times bestselling author of The Innovator's Dilemma, Clayton M. Christensen, comes an unconventional book of inspiration and wisdom for achieving a fulfilling life. Christensen’s The Innovator's Dilemma, notably the only business book that Apple’s Steve Jobs said “deeply influenced” him, is widely recognized as one of the most significant business books ever published. Now, in the tradition of Randy Pausch’s The Last Lecture and Anna Quindlen’s A Short Guide to a Happy Life, Christensen’s How Will You Measure Your Life is with a book of lucid observations and penetrating insights designed to help any reader—student or teacher, mid-career professional or retiree, parent or child—forge their own paths to fulfillment. Our "thirty-is-the-new-twenty" culture tells us the twenty-something years don't matter. Some say they are a second adolescence. Others call them an emerging adulthood. Dr. Meg Jay, a clinical psychologist, argues that twenty-somethings have been caught in a swirl of hype and misinformation, much of which has trivialized what is actually the most defining decade of adulthood. Drawing from a decade of work with hundreds of twenty-something clients and students, The Defining Decade weaves the latest science of the twenty-something years with behind-closed-doors stories from twenty-somethings themselves. The result is a provocative read that provides the tools necessary to make the most of your twenties, and shows us how work, relationships, personality, social networks, identity, and even the brain can change more during this decade than at any other time in adulthood-if we use the time wisely. It's doubtful they're going to list the speed of your promotion or the results of last quarter on your tombstone-but if you're going to show up to work every day why not get rewarded for it as much as possible? How to write an email teaches you the fundamentals that will help you get promoted quickly-and often. The biggest mistake new employees make in the corporate world is thinking that hard work is what leads to success. The reality is that some basic and often overlooked behaviors are the real keys to thriving in the workplace. Part survival guide, part corporate myth-buster, How to write an email show you how to raise your profile and make the most of your time in any organization. It's aimed at new employees but it's useful for anyone who wants to be great at what they do. Gary Vaynerchuk-the inspiring and unconventional entrepreneur who introduced us to the concept of crush it-knows how to get things done, have fun, and be massively successful. A marketing and business genius, Gary had the foresight to go beyond traditional methods and use social media tools such as Twitter, Facebook, and YouTube to reach an untapped audience that continues to grow. #AskGaryVee showcases the most useful and interesting questions Gary has addressed on his popular show. Distilling and expanding on the podcast's most urgent and evergreen themes, Gary presents practical, timely, and timeless advice on marketing, social media, entrepreneurship, and everything else you've been afraid to ask but are dying to know. Gary gives you the insights and information you need on everything from effectively using Twitter to launching a small business, hiring superstars to creating a personal brand, launching products effectively to staying healthy-and even buying wine. What you really need to do is stop talking and start working. This book shows you the way. You'll learn how to be more productive, how to get exposure without breaking the bank, and tons more counter-intuitive ideas that will inspire and provoke you. Influence, the classic book on persuasion, explains the psychology of why people say "yes"-and how to apply these understandings. Dr. Robert Cialdini is the seminal expert in the rapidly expanding field of influence and persuasion. His thirty-five years of rigorous, evidence-based research along with a three-year program of study on what moves people to change behavior has resulted in this highly acclaimed book. You'll learn the six universal principles, how to use them to become a skilled persuader-and how to defend yourself against them. Perfect for people in all walks of life, the principles of Influence will move you toward profound personal change and act as a driving force for your success. Paulo Coelho's masterpiece tells the mystical story of Santiago, an Andalusian shepherd boy who yearns to travel in search of a worldly treasure. His quest will lead him to riches far different-and far more satisfying-than he ever imagined. Santiago's journey teaches us about the essential wisdom of listening to our hearts, of recognizing opportunity and learning to read the omens strewn along life's path, and, most importantly, to follow our dreams. Drawing on diverse studies of the mind, from psychology to linguistics, philosophy, and learning science, Art Markman, Ph.D., demonstrates the difference between "Smart thinking" and raw intelligence, showing readers how memory works, how to learn effectively, and how to use knowledge to get things done. He then introduces his own three-part formula for readers to employ "smart thinking" in their daily lives. A proven system for rallying all of an organizations' employees around a new vision and ideas for making the vision stick. When something at work isn't going smoothly, managers struggle with what part of the problem to tackle first. Do they start with cost reduction? OR should they go for process improvements first? The authors-who have helped hundreds of companies and individuals change and improve-say spend time and money adjusting the systems in which people operate, rather than targeting people and their performance directly. The authors show that it's in fact possible to change everything at once-with a focus on making such transformations permanent and repeatable. Filled with illustrative examples from Northrup Grumman, BHP-Billiton, Reebok, Harvard Business SChool and many others. The book outlines a process for engaging all employees to buy-in to an improved vision of an organization's new and improved future. The Artist's Way is the seminal book on the subject of creativity. An international bestseller, millions of readers have found it to be an invaluable guide to living the artist's life. Still as vital today-or perhaps even more so-than it was when it was first published one decade ago it is a powerfully provocative and inspiring work. In a new introduction to the book, Julia Cameron reflects upon the impact of The Artist's Way and describes the work she has done during the last decade and the new insights into the creative process that she has gained. Updated and expanded, this anniversary edition reframes The Artist's Way for a new century. For the millions of people who have uncovered their creative selves through the Artists Way program-a workbook and companion to the international bestseller. New and original writings on Morning Page Journaling and the Artist's Date-two of the most vital tools set forth by Cameron in The Artist's Way. The Artist's Way Workbook is an indispensable book for anyone following the spiritual path to higher creativity laid out in The Artist' s Way. There's never been a career guide like The Adventures of Johnny Bunko: The Last Career Guide You'll Ever Need. Told in manga, the Japanese comic book format that's an international sensation, it's a fully illustrated story of a young Everyman just out of college who lands his first job. Johnny Bunko is new to the Boggs Corp., and he stumbles through his early months as a working stiff until a crisis prompts him to rethink his approach. Step by step he builds a career, illustrating as he does the six core lessons of finding, keeping and flourishing in satisfying work. A groundbreaking guide to surviving and flourishing in any career, The Adventures of Johnny Bunko is smart, engaging and insightful, and offers practical advice for anyone looking for a life of rewarding work. Designers create worlds and solve problems using design thinking. Look around your office or home - at the tablet or smartphone you may be holding or the chair you are sitting in. Everything in our lives was designed by someone. And every design starts with a problem that a designer or team of designers seeks to solve. In this book, Bill Burnett and Dave Evans show us how design thinking can help us create a life that is both meaningful and fulfilling, regardless of who or where we are, what we do or have done for a living, or how young or old we are. The same design thinking responsible for amazing technology, products and spaces can be used to design and build your career and your life, a life of fulfillment and joy, constantly creative and productive, one that always holds the possibility of surprise. Too often, companies and individuals assume that creativity and innovation are the domain of the "creative types". But two of the leading experts in innovation, design and creativity on the planet show us that each and every one of us is creative. In an incredibly entertaining and inspiring narrative that draws on countless stories from their work at IDEO, the Stanford d.school, and with many of the world's top companies, David and Tom Kelley identify the principles and strategies that will allow us to tap into our creative potential in our work lives, and in our personal lives, and allow us to innovate in terms of how we approach and solve problems. It is a book that will help each of us be more productive and successful in our lives and in our careers. You can go after the job you want - and get it! You can take the job you have - and improve it! You can take any situation - and make it work for you! And much more! Achieve your maximum potential - a must read for the 21st century with more than 15 million copies sold! Brash, aggressive, and supremely self-confident, Michael Bloomberg, the visionary leader of the world's fastest growing media empire, has been hailed as the new standard for what it takes to win in the Information Age. Dismissed from Salomon Brothers in 1981, Bloomberg immediately took his money and acerbic personality and started Bloomberg L.P. Bolstered by a $30 million investment from Merrill Lynch, the company and the man have been sprinting ahead of the pack ever since. Only twenty years after founding, he's at the top of his industry. And on June 5, 2001, he added mayoral candidate for New York City to his list of accomplishments and aspirations. If elected, powerhouse Michael Bloomberg will bring his own brand of leadership-and personal style-to the city that never sleeps. A veteran business consultant William Bridges explains, transition is successful when employees have a purpose, a plan, and a part to play. This indispensable guide is now updated to reflect the challenges of today's ever-changing, always-on, and globally connected workplaces. Directed at managers on all rungs of the corporate ladder, this expanded edition of the classic bestseller provides practical, step-by-step strategies for minimizing disruptions and navigating uncertain times. Give you tools and skills to manage stress, reduce anxiety and deal effectively with the pace and pressure of 21st century living. Demystify the most important aspect of what drives us, our relationships and our decision-making - our feelings. Explain how you can change the way your brain is wired to move effortlessly towards a fulfilling life of clarity, focus and balance. This short reassuring book is rich in science but low in jargon. IT is underpinned by a model which provides proven solutions for combating stress, anxiety and burnout. The simple, easily learned mindfulness techniques will enable you to rewire your brain and participate fully and enthusiastically with life. Ready to take the next step in your career...but not sure what's holding you back? Leadership expert Sally Helgesen and bestselling leadership coach Marshall Goldsmith have trained thousands of high achievers--men and women--to reach even greater heights. Again and again, they see that women face specific and different roadblocks from men as they advance in the workplace. In fact, the very habit that helped women early in their careers can hinder them as they move up. Simply put, what got you here won't get you there...and you might not even realize your blind spots until it's too late. America's most sought-after executive coach shows how to climb the last few rungs of the ladder. The corporate world is filled with executives, men and women who have worked hard for years to reach the upper levels of management. They're intelligent, skilled, and even charismatic. But only a handful of them will ever reach the pinnacle--and as executive coach Marshall Goldsmith shows in this book, subtle nuances make all the difference. These are small "transactional flaws" performed by one person against another (as simple as not saying thank you enough), which lead to negative perceptions that can hold any executive back. Using Goldsmith's straightforward, jargon-free advice, it's amazingly easy behavior to change. Have you ever felt the urge to declutter your work life? Do you often find yourself stretched too thin? Do you simultaneously feel overworked and underutilized? Are you frequently busy but not productive? The Way of the Essentialist isn't about getting more done in less time. I't's about getting only the right things done. It is not a time management strategy, or a productivity technique. IT is a systematic discipline for discerning what is absolutely essential, then eliminating everything that is not, so we can make the highest possible contribution towards the things that really matter. By forcing us to apply a more selective criteria for what is Essential, the disciplined pursuit of less empowers us to reclaim control of our own choices about where to spend our precious time and energy--instead of giving others the implicit permission to choose for us. Essentialism is not one more thing - it's a whole new way of doing everything. 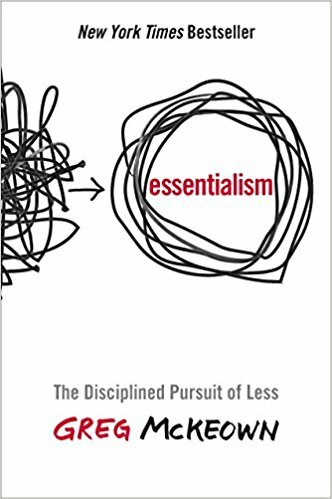 A must-read for any leader, manager, or individual who wants to do less, but better, and declutter and organize their own lives, Essentialism is a movement whose time has come. Deep work is the ability to focus without distraction on a cognitively demanding task. It's a skill that allows you to quickly master complicated information and produce better results in less time. Deep work will make you better at what you do and provide the sense of true fulfillment that comes from craftsmanship. In DEEP WORK, author and professor Cal Newport flips the narrative on impact in a connected age. Instead of arguing distraction is bad, he instead celebrates the power of its opposite. Dividing this book into two parts, he first makes the case that in almost any profession, cultivating a deep work ethic will produce massive benefits. He then presents a rigorous training regimen, presented as a series of four "rules" for transforming your mind and habits to support this skill. A mix of cultural criticism and actionable advice, DEEP WORK takes the read on a journey through memorable stories -- from Carl Jung building a stone tower in the woods to focus his mind, to a social media pioneer buying a roundtrip business class ticket to Tokyo to write a book free from distraction in the air -- and no-nonsense advice, such as the claim that most serious professionals should quit social media and that you should practice being bored. 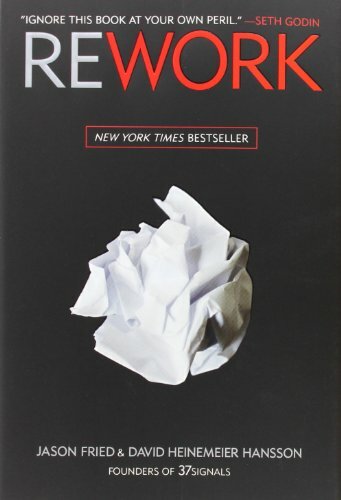 DEEP WORK is an indispensable guide to anyone seeking focused success in a distracted world. Once the poster girl for doing it all, after she had her first child, Tiffany Dufu struggled to accomplish everything she thought she needed to in order to succeed. Like so many driven and talented women who have been brought up to believe that to have it all, they must do it all, Dufu began to feel that achieving her career and personal goals was an impossibility. Eventually, she discovered the solution: letting go. In Drop the Ball, Dufu recounts how she learned to reevaluate expectations, shrink her to-do list, and meaningfully engage the assistance of others-freeing the space she needed to flourish at work and to develop deeper, more meaningful relationships at home. Even though women are half the workforce, they still represent only 18% of the highest level leaders. The reasons are obvious: just as women reach middle management they are also starting families. Mounting responsibilities at work and home leave them with no bandwidth to do what will most lead to their success. Offering new perspectives on why the women's leadership movement has stalled, and packed with actionable advice, Tiffany Dufu's Drop the Ball urges women to embrace imperfections, to expect less of themselves and more from others-only then can they focus on what they truly care about, devote the necessary energy to achieving their goals, and create the type of rich, rewarding life we all desire. Jia Jiang came to the United States with the dream of being the next Bill Gates. But despite early success in the corporate world, his first attempt to pursue his entrepreneurial dream ended in rejection. Jia was crushed and spiraled into a period of deep self doubt. But he realized that his fear of rejection was a bigger obstacle than any single rejection would ever be, and he needed to find a way to cope with being told no without letting it destroy him. Thus was born his "100 days of rejection" experiment, during which he willfully sought rejection on a daily basis--from requesting a lesson in sales from a car salesman (no) to asking a flight attendant if he could make an announcement on the loud speaker (yes) to his famous request to get Krispy Kreme doughnuts in the shape of Olympic rings (yes, with a viral video to prove it). Jia learned that even the most preposterous wish may be granted if you ask in the right way, and shares the secret of successful asking, how to pick targets, and how to tell when an initial no can be converted into something positive. But more important, he learned techniques for steeling himself against rejection and ways to develop his own confidence--a plan that can't be derailed by a single setback. Filled with great stories and valuable insight, Rejection Proof is a fun and thoughtful examination of how to overcome fear and dare to live more boldly. In Quiet, Susan Cain argues that we dramatically undervalue introverts and shows how much we lose in doing so. She charts the rise of the Extrovert Ideal throughout the twentieth century and explores how deeply it has come to permeate our culture. She also introduces us to successful introverts-from a witty, high-octane public speaker who recharges in solitude after his talks, to a record-breaking salesman who quietly taps into the power of questions. 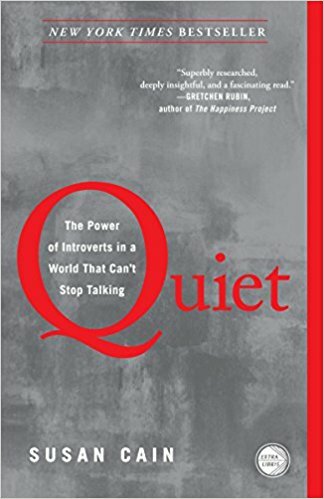 Passionately argued, superbly researched, and filled with indelible stories of real people, Quiet has the power to permanently change how we see introverts and, equally important, how they see themselves. Radical Candor is a simple idea: to be a good boss, you have to Care Personally at the same time that you Challenge Directly. When you challenge without caring it's obnoxious aggression; when you care without challenging its ruinous empathy. When you do neither it's manipulative insincerity. This simple framework can help you build better relationships at work, and fulfill your three key responsibilities as a leader: creating a culture of feedback (praise and criticism), building a cohesive team, and achieving results you're all proud of. Radical Candor offers a guide to those bewildered or exhausted by management, written for bosses and those who manage bosses. Taken from years of experience, and distilled clearly giving actionable lessons to the reader, it shows managers how to be successful while retaining their humanity, finding meaning in their job, and creating an environment where people both love their work and their colleagues. In 1975, Ray Dalio founded an investment firm, Bridgewater Associates, out of his tow-bedroom apartment in New York City. 40 years later, Bridgewater has made more money for its clients than any other hedge fund in history and grown into the 5th most important private company in the United States. Along the way, Dalio discovered a set of unique principles that have led to Bridgewater's exceptionally effective culture, which he describes as "an idea meritocracy that strives to achieve meaningful work and meaningful relationships through radical transparency." It is these principles that he believes are the reason behind his success. In Principles, Dalio shares what he's learned over the course of his remarkable career. He argues that life, management, economics, and investing can all be systemized into rules and understood like machines. The book's hundreds of practical lessons include Dalio laying out the most effective ways for individuals and organizations to make decisions, approach challenges, and build strong teams. He also describes the innovative tools the firm uses to bring an idea meritocracy to life. Principles offers a clear, straightforward approach to decision-making that Dalio believes anyone can apply, no matter what they're seeking to achieve. Ideas are the currency of the twenty-first century. In order to succeed, you need to be able to sell your ideas persuasively. This ability is the single greatest skill that will help you accomplish your dreams. TED Talks have redefined the elements of a successful presentation and become the gold standard for public speaking. TED―which stands for technology, entertainment, and design―brings together the world's leading thinkers. These are the presentations that set the world on fire, and the techniques that top TED speakers use will make any presentation more dynamic, fire up any team, and give anyone the confidence to overcome their fear of public speaking. Public speaking coach and bestselling author Carmine Gallo has broken down hundreds of TED talks and interviewed the most popular TED presenters, as well as the top researchers in the fields of psychology, communications, and neuroscience to reveal the nine secrets of all successful TED presentations. Gallo's step-by-step method makes it possible for anyone to deliver a presentation that is engaging, persuasive, and memorable. Many people have a fear of public speaking or are insecure about their ability to give a TED-worthy presentation. 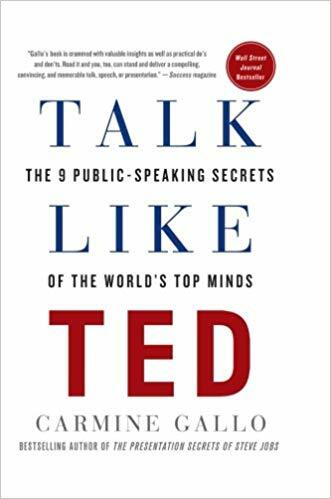 Carmine Gallo's top 10 Wall Street Journal Bestseller Talk Like TED will give them the tools to communicate the ideas that matter most to them, the skill to win over hearts and minds, and the confidence to deliver the talk of their lives.